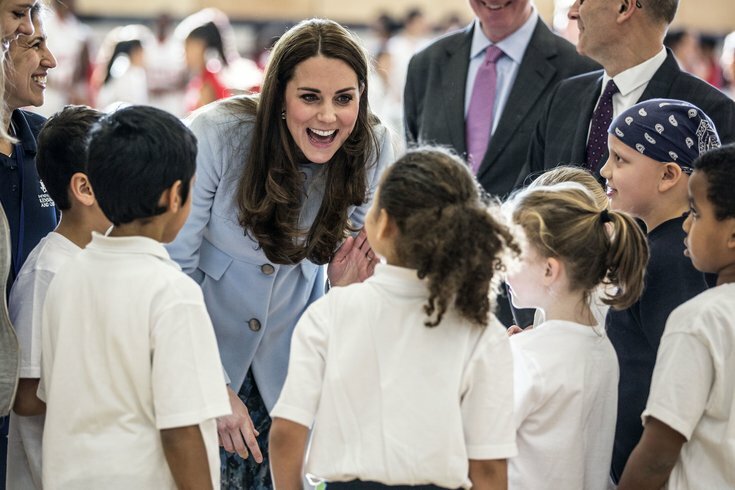 Britain's Kate, Duchess of Cambridge talks to local school children as she opens the new Kensington Leisure Centre, in London, Monday Jan. 19, 2015. In honor of the U.K.'s first Children's Mental Health Week, the Duchess of Cambridge is speaking out for a cause she deeply believes in: mental health awareness and support. The stigma around mental health means that many children don’t get the help they so badly need. This needs to change. In the nearly minute-and-a-half YouTube video, Kate Middleton speaks about both witnessing and meeting many young children in her country and around the world who have suffered from bullying, abuse and similar challenges that often lead to mental health issues. Without support, the effects of these challenges can be traumatic leading to serious issues such as anxiety, depression, addiction and self-harm, she says in the video. Middleton adds that a child’s mental health is just as important as his or her physical health. No one would feel embarrassed about helping a child seek treatment for a broken arm, and we need to be equally ready to support a child coping with mental disabilities. According to the latest statistics from the Office of Adolescent Mental Health, approximately one out of five adolescents nationwide has a diagnosable mental health disorder, and nearly one third shows symptoms of depression.